After suffering thirteen arduous years of persecution and untold suffering, the believers left their homes and livelihood behind and migrated to a foreign city, carrying nothing but their deep faith with them. The Leader stayed back of course, till the last of them were safely away from the reach of the sword points of the aggressors. And then he followed suit, leaving behind his motherland and the immense riches that would have come to him if he had complied with the irresistible offers of his enemies…. “Even if you give me the sun in my right hand, and the moon in my left, I would continue on this path till either I perish or god’s will succeed”- he had said. The aggressors weren’t satisfied with the cleansing. They launched assault after assault. Yet they couldn’t obliterate the small band of believers. And then, they decided on an all out final attack. Truces were made with all the tribes of Arabia and an army, whose likes were never, ever seen before was raised and this huge column was getting ready to march to Medina…. The Prophet (PBUH) and his followers were busy praying and planning. One day he decided to travel to a neighboring tribe of polyethiests to request for their neutrality. He met their chieftain and after promising him to hand over half the fruits and crops of Medina, the tribe agreed to stay neutral in the conflict. As the prophet returned, he remembered that he had taken this decision unilaterally without consulting the amir of Medina, who had the rightful say in this matter. Though he was the unchallenged leader of the whole city, he went to the Amir and informed him of the decision. The prophet could very well have enforced his decision and even the Amir would have complied. But being the leader that he was, he accepted the Amir’s argument and went back to the tribe and revoked the truce. Let us ask ourselves. As Managers, how often do we change our plans and decisions based on the inputs of our subordinates? I was watching the movie Brave heart on TV, last night. Must have watched it a million times before. But it never fails to remind us of some very simple facts. That whenever man has stood up with courage and resolve against injustice and tyranny, brute ruthless and seemingly invincible forces have crumbled and made way. Today is the anniversary of one such lesson. 1400 years ago a group of ill fed and poorly armed believers stood up to face a far superior army on the desert lands of Badr. The superior side was fighting for power, supremacy and ugly dominion. And their opponents for the right to live with honor. Thousands against hundreds. Cavalry against foot soldiers. So let us all continue to read and watch with lumps in our throat and then apathetically change the channels and stuff newspapers down the throats of garbage chutes. Till somewhere someday someone will stumble upon this age old truth and brush it up again for all to see. On which side of the battle lines must we be found on that fateful day? Will our grand children remember us as pathetic losers or righteous leaders? The Johari window concept says that every person is like a window with four panes. Pane 1 consists of all the things that he knows about himself and his companions know about him. (Let me shift to her… just in case). Pane 2 consists of things that she doesn’t know about herself, but the world knows. Now this may be either real or imagined/misunderstood things…. never mind. Simple examples are bad breath, stinking socks, mannerisms, body odor (yuck). More complex ones would be outrageous allegations. (If you depute someone to ask 20 people about yourself, you will be astounded on hearing at least some things that they would say and all these surprisingly new things would be in pane 2. Pane 3 consists of things that you will never hear from them. These are your secrets (fetishes, fears, clandestine plans, etc.). Pane 4 consists of things no one knows….unknown to you and the world (you could be a good skier or sky diver…. no one, including you know, since you have never tried). Now, to have good relations with the rest of this wonderful world, your pane 1 must be bigger than the rest of them. You can make Pane 1 the numero uno by doing two simple things. 1. Explaining why you did what you did to one and all as detailed and often as possible: Never assume that people will understand the rationale behind your actions. They will readily convince themselves that you had the worst and ugliest of intentions. So please save yourself from this trouble. Are you Prejudiced? Shame on You !!!!! All of us carry around with us Mental-maps about ourselves and the rest of the world. We think, feel, act and react towards people based on these mental maps. The most disastrous application of this little map tucked deep with us is Motive guessing. You waved at an acquaintance standing on the other side of the street. He didn’t reciprocate…. And here comes the list of possible explanations (motive guessing) that you can have. He was busy thinking about something. Ever since he got promoted, he has been arrogant. Have I done something wrong to anger him? Which of these is true.. god alone will know, unless we confront him and ask him and get his sincere answer. Since we don’t bother to do that, our mental map will treat this as an MCQ and find an answer for you. And how did we get this mental map? Well, most of the stuff got uploaded when we were under the age of 5. Small and helpless, taking in everything that our elders spelled out…. As they were big, so able, amazing and convincing. As adults, we could take out these maps and question the lines and shapes any time. However, as we rarely do this, it’s akin to trying to get around a place using a decade old map. No wonder we don’t reach anywhere when it comes to interpersonal skills. So you see the world not as it is, but as you are… and, even if we put on the sweetest of faces and gestures, the world can see through us and read our prejudices. “what you are is shouting at me, I can’t hear what you are saying”- amazing truth. So we go around with friends, half friends and full foes, just because our age old outdated mental maps keep us chained to our prejudices. Happy awareness building !!!. Hope you will de toxify yourself afterwards. Because the world out there is beautiful, if you would just take off your prejudice blinkers. Profound indeed !, as you will soon come to realize and concur. Looks good as well..doesn’t it ? The altitude at which you will cruise in life (you could either live life as a chicken or as an eagle, the choice is yours and can be made at any time…) depends on the three things on the R.H.S of the equation. For those who were pathetic at math, R.H.S stands for Right hand side. Since I intend to continue blogging, I don’t want you to imbibe this secret formula all at once. So today, I will start by enlightening you about Aptitude. The word literally stands for the innate ability to do a task. There are a million jobs that one can find and do in this world. However, it goes without saying that one cannot do all these jobs equally well. You are cut out to do some exceedingly well, some moderately well and so on, it takes the form of a decreasing continuum. If I can compose music exceedingly well, or sell amazingly well, you can say that I have the aptitude for that task. If I don’t, I may still be able to do them, but with a lot of painful efforts and very little breakthrough WOW results. So the first step in moving on to a higher corridor in life is finding out the jobs in which you have an aptitude in. Once you glance through that list, you will get that “My god, these are interesting things…..” feeling. If the job that you are currently doing is in this list, you are one of the lucky ones. Alternatively,you will have to decide.. change the job or burn double the amount of fuel to cruise at the level you desire. Now how can you decipher your aptitude ?. I personally endorse the MBTI personality profile. It is freely available at http://www.humanmetrics.com. Look for the “Jung typology” test link and start answering the questions. Once you are through, you will get a four letter code (ENFJ, ISTJ, etc.). Once you have this code go to Google university and search for MBTI + apt careers and voila….. you will have a million sites telling you the first ingredient in my secret recipe. Am I too old to change? Well, I was trained as an engineer and a Business Manager. Frankly speaking I don’t have an impressive aptitude for either. With a lot of hard work, I could make a mark in these domains. However, I could see others do it with half the time and effort. As an ENFJ, “Teaching” is a job in which I have a good aptitude in and as a Corporate Trainer, I am outshining others effortlessly… Alhamdulillah. I spent seven years of my life loitering in the wilderness before I found the track of my calling. Work is NOW very meaningful and I enjoy every bit of it. If you need any more details on this, send me an email at sangeethibrahim@yahoo.com. If you are in the UAE, I am giving a presentation on the same subject on Wednesday (25th) night in Sharjah. Call me on 050 3423552 and I will guide you….It’s a promise. For the rest of the R.H.S… watch this space. I had requested Proffessional Networking group members to recommend the Best Self Help book they have ever read. The response was overwhelming. I have consolidated them together and want to share it with you all. 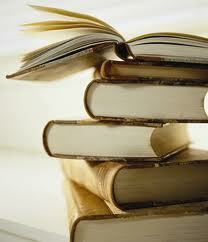 I want to now embark upon a self development plan- to read each and every book in the list before the end of 2012. Please find the list below. Please feel free to add to this…. In the 1990’s, our country was embroiled in the Lose- Lose Ram Temple- Babri Masjid controversy. Allow me to give the uninitiated a short history course. The majority community believed that an erstwhile minority community ruler destroyed a holy temple and constructed a mosque in its place . Almost 1000 years later, a militant wing of the majority community sought retribution, by razing the mosque to the ground and reinstating the temple. This issue divided the whole country along communal lines and unprecedented scenes of arson and killing happened all over. It was very tough to be non partisan and rational during those days as pain and hate inducing reports of death and atrocities were pouring in by the minute. I was in my teens and was quite effected by the happenings. I was mourning the destruction of the mosque and was giving vent to my feelings at every opportunity. An ageing and wise relative who had called on us, called me aside and related a story from Islamic history that brought in tender showers of relief in my heart and soul. It gave me a new paradigm altogether. Let me share it with you today. During the Caliphate of Omar Ibn Khattab (R.A) , Islam was spreading far and wide and hundreds of people were coming into its fold every day. The Governor of Egypt was facing a severe problem. The Masjid in the city was too small to accommodate the increasing number of believers. His only option was to renovate and enlarge the building. But a small house of a Coptic Christian lady stood as a major stumbling block to this plan. The house came in the way. The governor approached her and offered to give her a better place in the city and requested her to leave. She refused. He offered to pay her much more than the value of the land. She vehemently stuck to her stand. Finally the governor deposited this money in the treasury, enabling her to avail it any day and ordered for the destruction of the house. The old lady was grief stricken. She went around seeking help. Someone told her that the Caliph in Medina, who was the commander of the faithful was a very just man. They advised her to meet him and seek his help. The old lady decided to do so. After travelling for many months, she reached medina and got to meet the Caliph. By this time, the house was demolished and the construction of the mosque was in full swing. The lady presented her case to the caliph. He pondered over the request for a while and sought the reason for her reluctance to move. Upon hearing this, the just ruler ordered for the mosque to be demolished and the house to be rebuilt. The land was restored to her with honor. The wise old man ended the story and opined “If you pray by treading on the tear drops of innocents, I don’t think they will be answered”. I am not suggesting a solution for this age old highly politicized problem. But the tears of the old lady and the words of the caliph drove the radical out of my soul.. forever.